How Much Money Do Teachers Make a Year? In the United States., there are over 1.5 million grade school teachers who teach over 38 million children. The average U.S. school teacher earns an annual income of $50,090. Creating a career as a primary school teacher can be both economically lucrative and rewarding. Besides the financial returns, some primary school teachers cite the intangible, emotional rewards that they experience working with children. Here is what it takes to become a primary school teacher. Check the certification requirements in your state. A teacher must be certified by the state Department of Education in his state before being hired to teach in a school. Every state has unique certification requirements. See the link in the Resources section for the certification requirements of all 50 states. 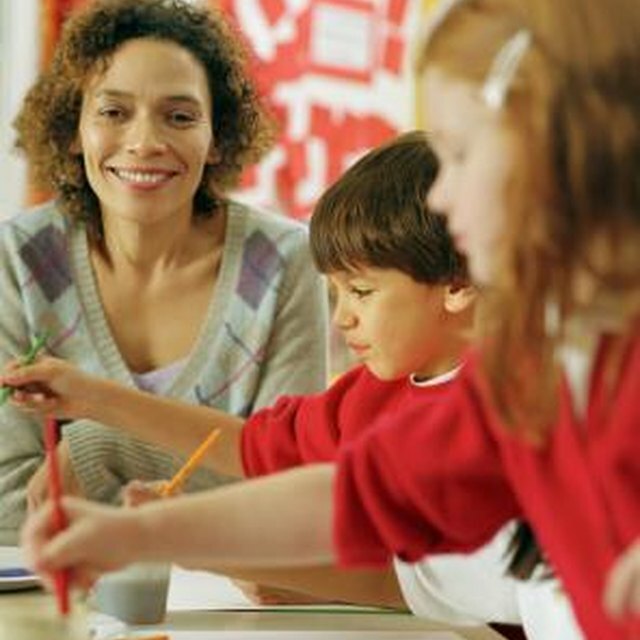 Earn a Bachelor of Education degree (BEd). This college-level degree is required by all states for teacher certification. A BEd is divided into separate streams that focus on the grade-level you wish to teach. Check with your state Department of Education to determine whether you need additional degrees or experience before applying for a teaching position in your state. Create a teaching portfolio. A teaching portfolio functions like a traditional, professional portfolio. It will give potential employers background information regarding your educational experience, as well as how well you work with children. See the link in the Resources section for a checklist on building a proper teaching portfolio. Search for open teaching positions in the state in which you are accredited. Open teaching positions may be located in newspaper classified ads, or online on educational career websites such as Teachers-Teachers. Available teaching positions can also be located by contacting local public schools and private schools in your area. Apply for a teaching position. Create a paper resume using professional software to make a good impression. 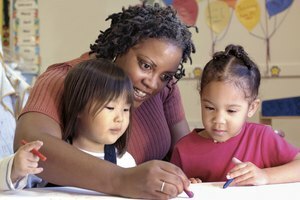 Plan ahead and volunteer in community service positions that give you experience working with children. What Type of Education Do Math Teachers Need? Duvauchelle, Joshua. "How to Become a Primary School Teacher." 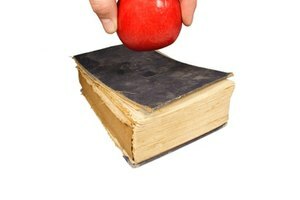 Synonym, https://classroom.synonym.com/become-primary-school-teacher-4619469.html. Accessed 21 April 2019.